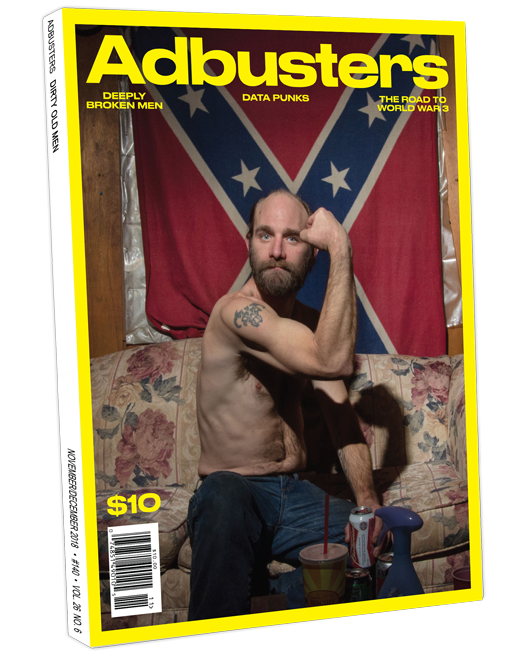 Adbusters #140 is a snapshot of the wild moment we’re living through, when politics, culture, and society are all in freefall. Ominously framed within the history of the Universe, this issue is a nod to our own insignificance and how pathetically we seem to be wasting even that. Not only has climate change been insistently brushed off by the powerful, but we’ve also now reached a climax of Digital saturation. In the Digisphere, humanity’s vice seems to be eclipsing virtue, with nobody taking responsibility. As the noise level ramps up, we find a unanimous yearning for silence from the digital onslaught. Issue #140 asks: Is it time to disconnect from Big Tech so we can reconnect with one another?